Slovakia's membership of the IHRA is an expression of its will to be among states that actively support education on the Holocaust, its remembrance and research. It wasn't until 1989 that scientific investigation in this field was renewed without ideological bias and the void in Slovak history began to be filled. The Holocaust left deep marks on Slovakia. 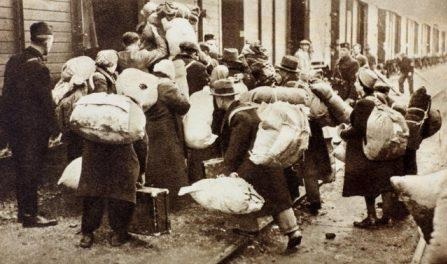 In 1942 and 1944, more than 70,000 Jews were deported from what was then the territory of Slovakia. The majority of them perished in concentration camps. The fascist regime of the wartime Slovak state played an active role in the persecution of Jews who were gradually excluded from economic and political life, stripped of their fundamental human rights and, ultimately, deported. Its representatives carried a major share of the responsibility for these horrible events. After the renewal of democracy in Czechoslovakia, in December 1990 the Slovak Parliament and the Slovak Government issued a "Declaration on the deportation of Jews from Slovakia to concentration camps in 1942 and 1944." In the declaration, members of parliament and of the government showed their sympathy for those Jewish fellow citizens, expressed their regret for the crimes committed against them, and apologized for the acts of their predecessors. After the declaration, memorials and memorial plaques dedicated to the memory of the Holocaust victims began to be unveiled throughout Slovakia (more than 100 to date), including the Central Memorial to the Holocaust of Jews in Slovakia, erected in Bratislava in 1997 on the site where the Neological Synagogue originally stood. In 2001 the Slovak Parliament dedicated a “Memorial Day to the Victims of the Holocaust and Racial Violence.” The day was established in remembrance of 9th September 1941, when the government of the then Slovak State issued a decree, the so-called Jewish Codex, which marked the beginning of persecution of Jews in the country. 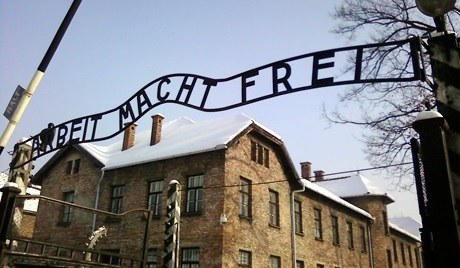 Many events are held every year on this occasion, such as the laying of wreaths at the Holocaust Memorial under the auspices of the President of the Slovak Republic, as well as conferences, seminars and lectures on the Holocaust, racial violence and antisemitism (see below). The Holocaust is taught at all levels of the school system, including universities. In primary and secondary schools, the Holocaust is not only an integral part of history classes, but also of civic and ethics education. The training of teachers in this field has also advanced successfully, thanks to IHRA support. After the President of the Slovak Republic signed the Stockholm Declaration in 2000, the Slovak Ministry of Education began to cooperate with the IHRA on the international project entitled "Training of Secondary School Teachers for Holocaust Education." Its goal was to train selected teachers of history and other social-studies subjects who teach the Holocaust in order to improve the quality of teaching in line with international standards. In 2013, the Slovak Ministry of Education signed an agreement with EDAH, a non-governmental organization for teacher-training activities. In cooperation with other organizations, EDAH actively engages teachers and students in various projects devoted to Holocaust education and commemoration. In cooperation with expert trainers, EDAH also prepares, various educational materials for teaching purposes and organizes educational events aimed at familiarizing the public with the Holocaust. Since 2003, as initiated by the Slovak Ministry of Education, 9 September (National Holocaust Remembrance Day) is also commemorated in primary and secondary schools through meetings with Holocaust survivors, visits to memorial sites, exhibitions and discussions on the Holocaust, antisemitism, racism and other related themes. Besides the above mentioned institutions, the Holocaust Documentation Centre is another key player in education on the Holocaust. In 2006 – 2012 the Centre was utilized for Ministry of Education seminars and published pedagogical materials for high school teachers. With international partners (Yad Vashem, Memorial Ghetto Terezin, Wannsee Conference House, Shoah Foundation Institute for Visual History SCU) the Centre prepares seminars for teachers – and other multiplicators. The Centre also conducts new accredited programs for teachers – using selected aspects and methods in Education on the Holocaust in Slovakia. Moreover the Centre in cooperation with the Bratislava Jewish Community Museum organizes teaching programs for students at authentic sites. Since 1994, the SNM - Museum of Jewish Culture in Bratislava has been operating as a specialized museum within the framework of the Slovak National Museum. Its activities focus on developing spiritual and material Jewish culture and documenting the Holocaust in Slovakia. The Museum of Jewish Culture organizes memorial events on the occasion of Memorial Day for Victims of the Holocaust and Racial Violence and the first transport of 1000 Jewish girls from Poprad that include: lectures, discussions, memorial meetings, multimedia presentations, educational programs, concerts and theater performances, etc. It also organizes the so-called Museum and Gallery Night, specialized lectures, special events to current exhibitions, and a set of activities for children and students within the scope of the School in the Museum project, as well as a museum guide service for schoolchildren. 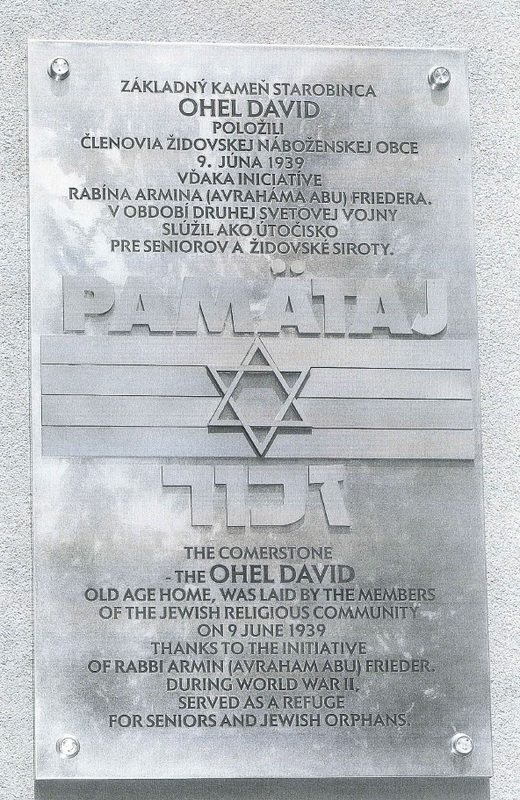 The Museum of Jewish Culture also participates in the creation of Holocaust memorials in Slovakia – it has contributed to the installation of several memorials (Bratislava, Kremnicka, Sered) and memorial plaques (Poprad, Huncovce, Topolčany, Bardejov, Nitra, Liptovsky Mikulas). Each of which bears the Hebrew expression Zachor! – Remember! In 2005, the museum opened another permanent exhibition of the Holocaust located in the synagogue building of Nitra with the title "Fates of Slovak Jews." 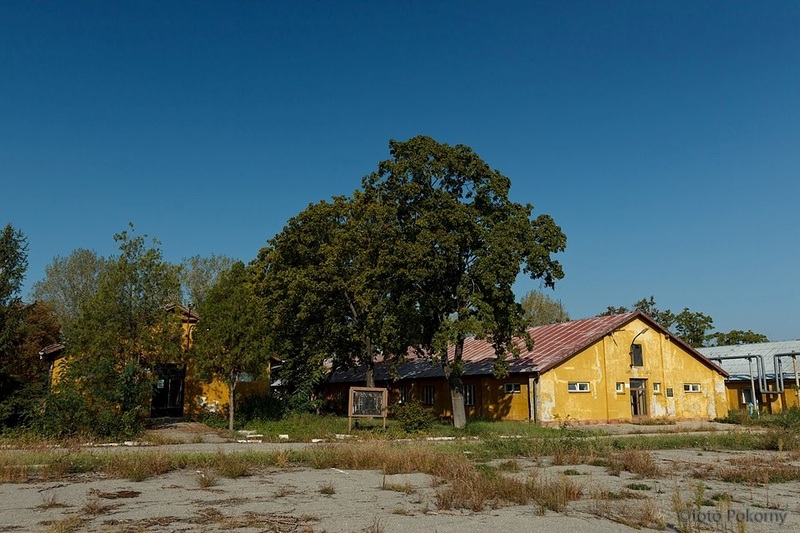 In 2008 the museum assumed administrative responsibility for the five original buildings of the Sered labour and concentration camp. Upon reconstruction a new Holocaust Museum Sered shall be created there, devoted to all the collection centers in Slovakia and providing education regarding the Holocaust. Since 2002, there has been a permanent Slovak exhibition at the State Museum of Auschwitz-Birkenau called "The Tragedy of Slovak Jews." In the Museum of the Slovak National Uprising in Banska Bystrica, the permanent exhibition "Slovakia in the Anti-Fascist Resistance Movement of Europe 1939-1945" was created in 2004. In 2007, on the occasion of the 65th anniversary of the beginning of deportation of Slovak Jews, the museum put together a touring exhibition which travelled to Slovak cities under the name "Wagon." The exhibition was installed in two railroad wagons similar to those used to transport Slovak Jews to the concentration camps. The first initiatives connected with remembrance of the Roma tragedy during the Second World War began in Slovakia at the beginning of the 1990s. The theme was taken up in particular by the Milan Simecka Foundation, which recorded testimony of Slovak Roma in addition to Jewish testimony under its project "Fates of those who survived" and in 2006 a publication "Roma and the Second World War" was issued. In 2005, the Slovak National Museum and the civic association "In Minorita" implemented a project called "Ma bisteren!" (Don't Forget!). This project consists of an educational program for youth, with a touring exhibit on the Roma genocide, and the unveiling of memorial plaques at sites that are connected with the persecution of Roma. In addtion several memorial plaques have been unveiled until now. Since 1998 the Milan Simecka Foundation in cooperation with the Jewish Community in Slovakia and The Holocaust Documentation Centre has issued 8 volumes of edited documents "Holokaust na Slovensku" (Holocaust in Slovakia). Leading Slovak historians have edited documents which cover almost all basic aspects of the history of anti-Jewish measures and policies in Slovakia 1939-1945. Apart from that the Centre published several monographs including the first books on history of the Labor and Concentration Camp in Sered or the Jewish children during the Holocaust. In cooperation with other organizations it also prepares lectures, seminars and international academic conferences. The Centre cooperates in research with university scholars as well as employees of various institutes of the Slovak Academy of Sciences and the Institute of Jewish Studies at the Comenius University in Bratislava (some Holocaust survivors also take active part in its work). The Centre is part of an international team in the Oral history documentation project of USHMM: Crimes against Civilian Populations during WW2. The Centre works also on the digitalization of relevant documents (available on the web site www.holokaust.sk) and the creation of important databases related to the Holocaust era (the list of Jewish victims of the Holocaust in Slovakia and records of the Sered concentration camp). 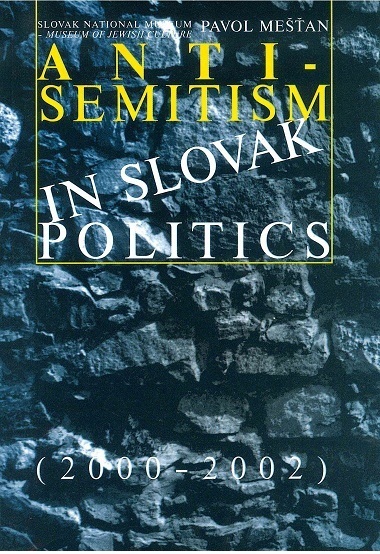 Professor Pavol Mešťan monitors, analyzes and provided an exhaustive overview of antisemitism in Slovak politics from the fall of the totalitarian regime until today. This research took place with the long-term cooperation of Tel Aviv University, and its results are reported in books titled "Anti-Semitism in Slovak Politics," published in both Slovak and English by the Slovak National Museum – Museum of Jewish Culture in Bratislava. It is also important to mention the activity of The Nation´s Memory Institute (Ustav pamati naroda) which published online the database of liquidated Jewish enterprises. The main goal of activities of the SNM – Museum of Jewish Culture during the creation of the Holocaust Museum Sered is to perform research and use its results to create a completely new permanent Holocaust exhibition. To facilitate research and the collection of documentary materials the Museum has established cooperations with other museums and archives at home and abroad. The goal of the exhibition will be to familiarize the general public and experts in the field with this tragic period in the history of the Slovak community in Slovakia. The results of our and our partners' research shall also be used for the museum's educational, informational and training activities. In 2008, Slovakia together with Poland, the Netherlands, and Israel, signed the Memorandum of Understanding, which launched the project of renewal of the memorial and museum of the former Nazi extermination camp in Sobibor. Slovakia joined the project after new research, indicating that most of the Jewish deportees from Slovakia were murdered in Sobibor, appeared. A new study group has been formed in Slovakia to provide expertise for the international committee, and members of the Slovak delegation to IHRA have became members of this international expert committee.